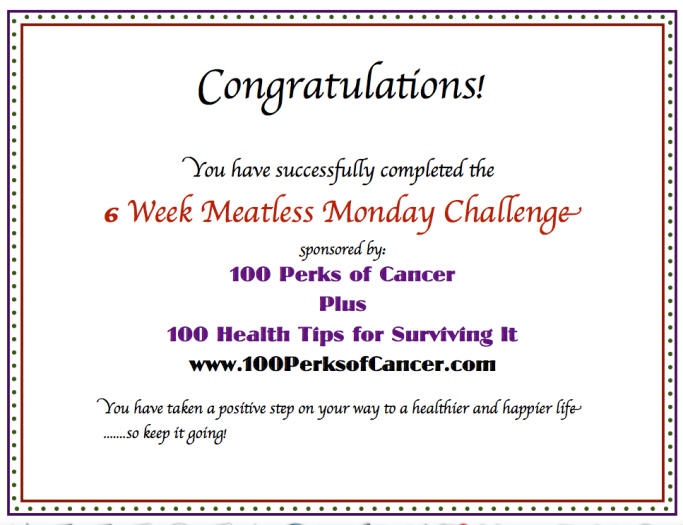 Week 6: Meatless Monday Challenge | The Perks of Having Cancer! WOW! You did it! Six weeks of practicing plant-based eating for (at least) one day a week. Will you continue to make Meatless Monday a part of EVERY week? For this week’s recipes, go to my fabulous co-writer’s blog: The Savvy Sister!